The Historic Boots Court is located in Carthage, Missouri on Old Route 66 on what is called the “CROSSROADS of AMERICA”. The Boots was built in 1939 by Arthur Boots, and still carries his name today. The “Motel” was saved from demolition by two sisters who are presently restoring the property to the way it was in 1949, and with the five rooms in the detached annex being completed and opened-for-business in 2012, this famous Art Deco-Streamline Modern building is currently listed by Trip Advisor.com as the “Best Motel in Carthage”! Stay with us and experience history. 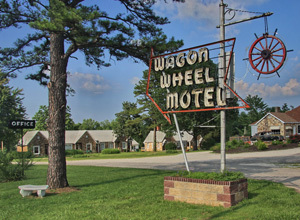 The Wagon Wheel Motel, Café and Station in Cuba, Missouri is a 19-room independently owned historic U.S. Route 66 restored motel which has been serving travelers for more than seventy-five years. The famous Wagon WheelNeon Sign still flashes a welcome to visitors from all over the world. 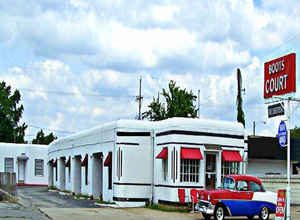 Only facing the east, the unique neon was designed and built by John Mathis in 1947. 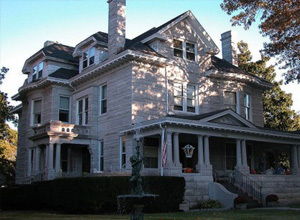 The Victorian Carthage Stone house was completed in 1901 as a family residence for industrial pioneer J.P. Leggett. The house provides a glimpse of gracious living at the turn of the century. The Legget House of today continues the legacy of gracious living and you become a part of this legacy. This Beautiful home was constructed in 1901 entirely of Carthage stone. truly stunning, the woodwork is all handcrafted from Cortison Oak, Birdeyes Maple and Pine. Out of the 82 windows, ll are curved glass. This home is also host to 5 fireplaces and a magnificent fountain that was hand chiseled from Carthage marble. Choose your favorite room from the sun-lit French inspired Oak Room, Maple with ornate queen canopy bed, the Magnolia room, the most exquisite of all, the pine room the most private with it’s own screened in porch, the romantic white room with private bath. 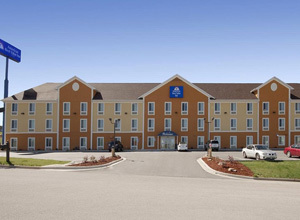 Limited service year built – 1977 year remodeled – 2013 additional property description – we are a pet friendly hotel, however, if your furry companion s will be accompanying you during your stay, please reserve a pet friendly room. In an effort to accommodate all of our guests we only allow pets in specific rooms of our hotel. Pet friendly rooms are only offered upon availability. 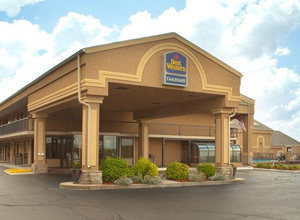 Located within blocks of everything you want to see and do in rolla, this rolla best western offers an unbeatable value and location for our guests. Situated in St. Robert, Americas Best Value Inn is close to Hidden Valley Plaza, Tiger Typhoon Aquatic Center, and St Robert Museum. Also nearby is Bosa Heights Park. The hotel offers a restaurant. A complimentary breakfast is served each morning. Complimentary wireless Internet access is available in public areas and a computer station is located on site. There is a business center on site. Additional amenities include a spa tub, tour/ticket assistance, and laundry facilities. Complimentary self parking is available onsite for guests. This is a smoke-free property. 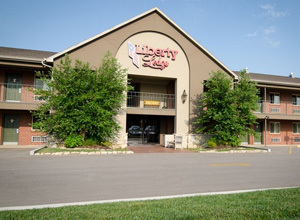 Situated in St. Robert, Liberty Lodge is close to Hidden Valley Plaza, Tiger Typhoon Aquatic Center, and St Robert Museum. Also nearby is Bosa Heights Park. The hotel offers a snack bar/deli. Complimentary wireless Internet access is available in public areas and a computer station is located on site. There is a 24-hour business center on site. Additional amenities include tour/ticket assistance, laundry facilities, and coffee/tea in the lobby.Self parking is complimentary. This is a smoke-free property. 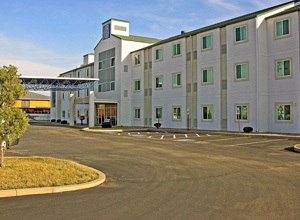 Situated in the heart of St. Robert, Motel 6 Fort Leonard Wood is close to Hidden Valley Plaza, Tiger Typhoon Aquatic Center, and St Robert Museum. Also nearby is Bosa Heights Park. The motel offers a restaurant. Public areas are equipped with wireless Internet access (surcharges apply). There is a business center on site. Additional amenities include laundry facilities, coffee/tea in the lobby, and a safe deposit box at the front desk. Complimentary self parking is available onsite for guests.